1. 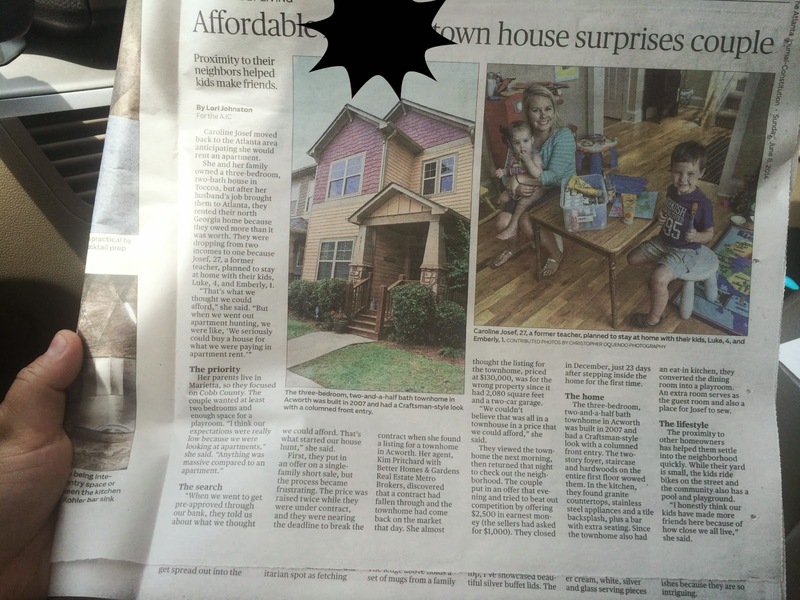 Our house and the story behind it was featured in the "home finder" section of our local paper. I was pretty excited to finally see it in print. It was actually a really fun process that I'll share sometime. For those who weren't able to read it the gist of what was printed I wrote about here. <--every time I read that post I cry. 2. 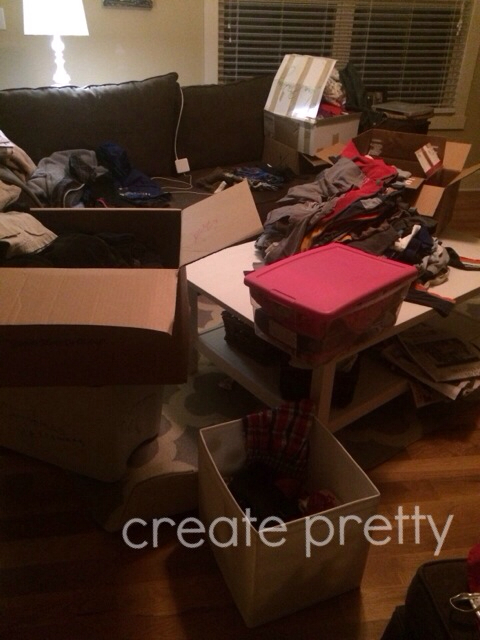 I spent the first part of the week sorting through boxes and boxes of hand me down clothes that were given to our children from some very generous friends. I am SO THANKFUL that both our children's closets are stocked until next summer (and many larger sizes are quickly filling up). I love recycling clothes, and I can't wait to pass these on to someone else once we are finished. Such a great feeling to take care of each other! 3. We had a pool day on Monday. We spent like the WHOLE DAY there, picnic lunch included! 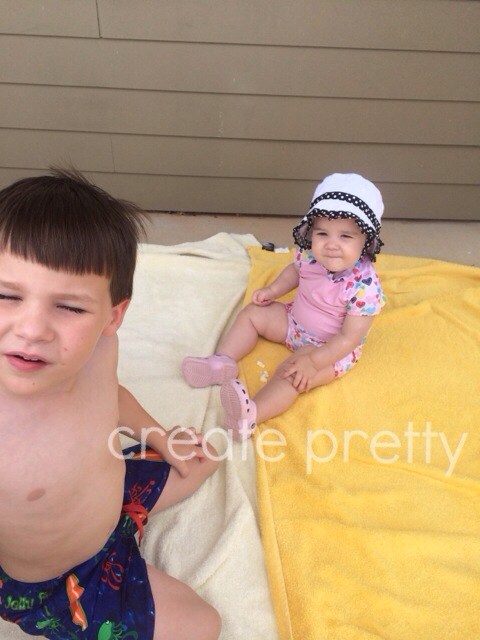 They both LOVE the pool and splashing around. 4. I have been in high gear with my shop this week. I posted that I wanted to list 10 items on Etsy by the end of last week and 10 more by the end of this week. I actually had 20 posted by the end of last weekend and my goal is to hit 30 by this weekend (I'm at 27 now). I also had my first sale which was incredibly nerve wracking! I have been selling personalized and appliquéd shirts for YEARS but for some reason when it was through Etsy it stepped it up a notch! One of the things I've been lacking has been fabric samples so I worked one afternoon to get those together. Still have a few photos to snap but overall I'm pleased with how they came out. 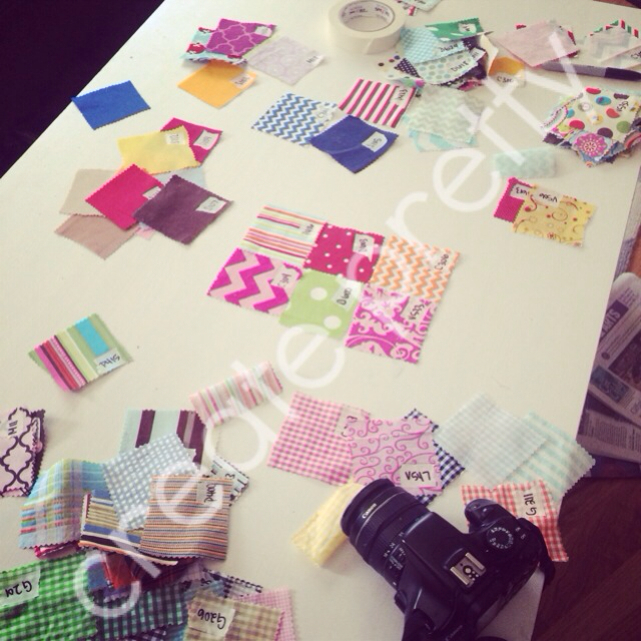 I had to cut out over 150 samples, organize them, "code" them, and put matching fabrics together. It was quite the undertaking! My new goal is to have 40 items listed by next weekend. We'll see how it goes! 5. 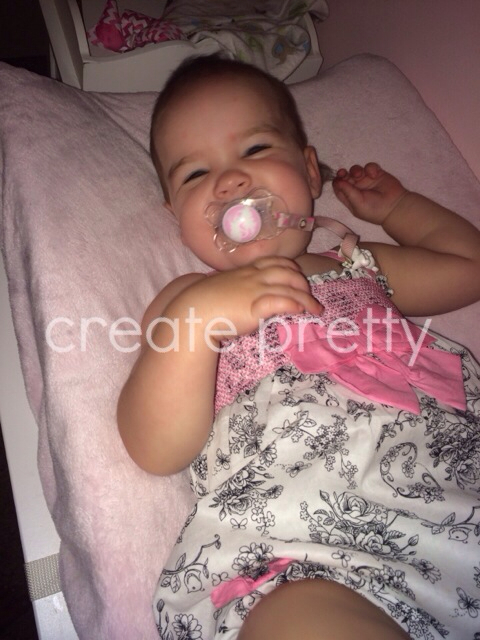 I just love this sweet girl and her girly girl clothes! This outfit just melts my heart.